I really didn't need to see Sheldon become heartbroken all over again. On The Big Bang Theory Season 9 Episode 7 Sheldon becomes emotional about having lost Amy as he discusses the character of Spock for a special documentary. What better way for Sheldon to confront his true feelings than by comparing himself with the master of hiding them? "The Spock Resonance" is a way for Sheldon to learn something about himself, while also paying tribute to the late Leonard Nimoy. That alone is enough reason to enjoy this episode. 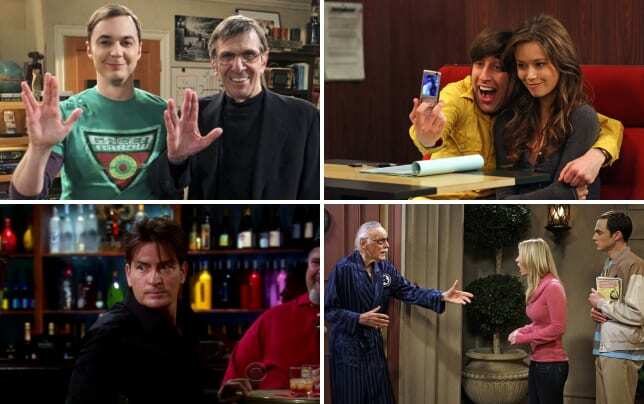 If any show needed to pay tribute, it's The Big Bang Theory. Nimoy, and his character of Spock, have been so idolized by these characters that it was only appropriate to spend some time honoring him. Bringing in Adam Nimoy to film a documentary about Mr. Spock is endearing and perfect. Sheldon is, of course, the ultimate superfan, and it's fun to watch him talk about all the reasons he loves Spock. Mainly, Spock is a character with whom he feels he can identify. Sheldon, like Spock, prefers to focus on logic and reason rather than emotion. But also like Spock, that doesn't mean he doesn't have those emotions. It just means he doesn't quite know what to do with them. The nice thing is that Sheldon seems to be learning, slowly at least. The documentary becomes another important move in making Sheldon a likeable character again. With that comes the hope that he'll be able to win Amy back, especially when we see how that engagement ring actually affects him. After becoming emotional, and perhaps the most emotional that we've ever seen this character (I can't recall having ever heard him yell), Sheldon disappears into his room. He re-emerges a while later, with logic and reason set back in. His plan? Go find Amy and propose. Simple. If only it were that easy. Unfortunately, Sheldon arrives with the ring just in time to spot Amy kissing another guy. He turns around and walks away in a distinct silence. Maybe it was too soon for Sheldon to try and make this gesture, and maybe he makes it for the wrong reasons, but I hope this whole thing doesn't continue to drag on. Seeing Sheldon walk away with that ring is heartbreaking, and I'm ready for some sort of resolve. Is anyone else having trouble picturing Howard as a dad? I don't think the world is ready for that. I almost always love episodes with Wil Wheaton! Penny's reaction to the engagement ring is priceless.